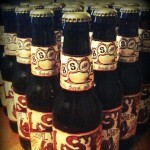 LST Beer Premier a Success! Thanks! Thanks to everyone who came out to support! Big thanks to the businesses who donated to our raffle: The Winchester Restaurant and Bar, Amity Bike, Woodbridge Fire Arms, Dine 11 and Love Thy Pitbull. An extra special thanks to Ed ‘Forca’ Silva of Blood, Sweat and Beers who brewed the Loyal Wheat. 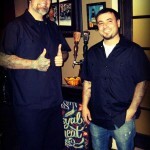 He is as passionate about beer as we are about tattooing. The party was a great time for a great cause and The Stewart family will be getting proceeds from the party. Thank you all who came out and keep your ear to the ground for a future event cuz LST beer is only just beginning to flow! VOTED BEST OF NEW HAVEN 2015! 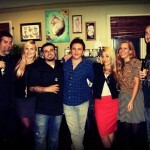 Check out the ‘Creative Natives’ blog! VOTED BEST OF NEW HAVEN 2014 – and our June guest artist! Daily Nutmeg article about LST – CHECK IT OUT! Copyright © 2011-2016 Lucky Soul Blog - (203) 397-5825 - 214 Amity Road, Suite A, Woodbridge, CT.